Canada's economy remains vulnerable to weakening energy and other natural resources prices. WTI crude oil price for example has dropped significantly over the past two months, making some economists wonder if the nation's recent economic stability can be sustained. Here is what's driving this dependence on commodities exports. 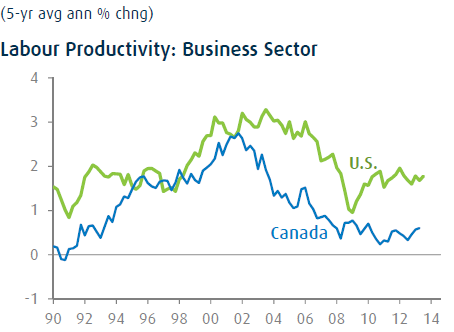 Canada continues to struggle with lagging labor productivity. Anecdotal evidence suggests that businesses are avoiding opening labor-intensive operations in Canada due to high costs. 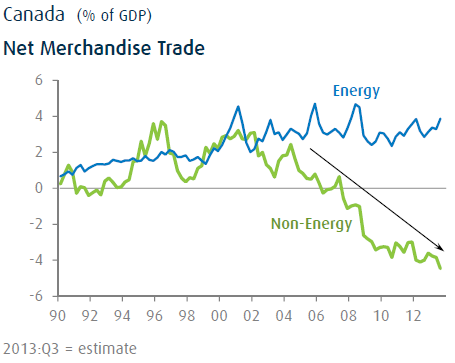 ... the non-energy component of Canada's trade has declined sharply over the past decade. In short, Canadians export energy and other natural resources while importing a great deal of everything else. This dependence of course is not limited to energy. For example Canada is the third largest aluminum producer in the world. 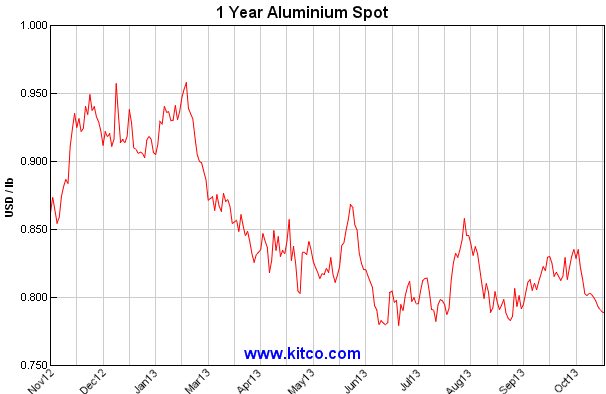 That position worked quite well when China was driving industrial metals prices to new highs. But that is no longer the case. Douglas Porter of BMO describes the situation quite well. 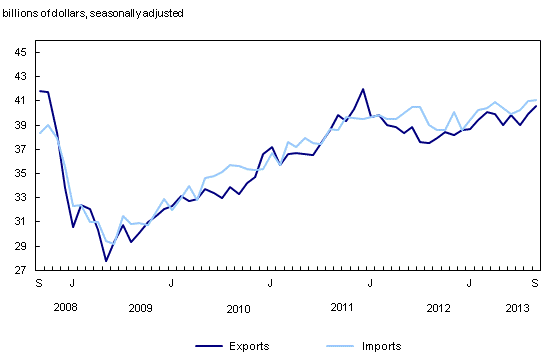 BMO Capital Markets: - For much of the past decade, the underlying weakness in Canadian export volumes, productivity and manufacturing was papered over by the boom in commodity prices. (Some would argue that the boom in fact partly caused the weakness in real exports et al, but that’s getting into the realm of the Dutch Disease debate.) With prices drifting steadily lower since the spring of 2011, it seems safe to conclude that commodities are not going to bail us out this time—the Super Cycle is over. While global growth will likely be just firm enough to put a floor under resource prices in 2014, Canada simply cannot rely on improving terms of trade to lift incomes further, or to turn around a weak trade performance. The dramatic rise in U.S. oil and gas production further complicates the picture by putting downward pressure on North American energy prices.